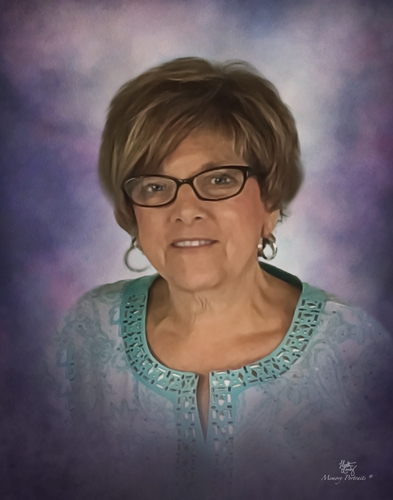 Obituary for Anita M. Fabian | Graft-Jacquillard Funeral & Cremation Services, Inc.
Anita M. Fabian, 65 of Scottdale passed away Tuesday, October 9, 2018 in Excela Westmoreland Hospital, Greensburg after fighting a courageous battle against cancer. She was born February 20, 1953 in Pittsburgh a daughter of the late Richard and Catherine (Arcuri) Zottola. A member of St. John the Baptist RC Church, Scottdale, Anita served as a church musician for over 30 years. She could always be found at the piano or organ playing for countless weddings, funerals and Masses. She was also the accompanist for St. John the Baptist Church Choir. Following the partnership of St. John the Baptist, Scottdale and St. Joseph, Everson, Anita was hired as the parish secretary. She worked tirelessly for the good of the parish in so many ways and was a shining example of a faithful servant. Anita was on the faculty of the former St. John the Baptist School where she was the librarian and taught Spanish. She also accompanied numerous school plays, prayer services and musical productions. It was there that she left an indelible mark and formed long-lasting friendships. Anita was an avid reader and served for a number of years as librarian at the Scottdale Public Library. She loved the Beatle’s and was a fan of the Pittsburgh Steelers, Pirates and Penguins. Anita most cherished her role as a wife, mother, sister and friend. She was the one you could count on to take care of things no matter what. She hosted and cooked for many family gatherings that always included music around the piano especially at Christmas. A proud mother, she supported her sons in all of their sports and activities well beyond high school. Anita is survived by her loving and devoted husband of 44 years, Joseph S. Fabian, her sons, Christopher Fabian and Nicholas Fabian; her brother, Arthur J. Zottola and wife Mindy; her sister, Patricia M. Wojton; three sisters-in-law, Donna Zottola, Judith Fabian and Mary Ann Fabian and several nieces, nephews, cousins and her parish family. Family and friends will be received on Friday from 2-8 pm at GRAFT-JACQUILLARD FUNERAL & CREMATION SERVICES, INC. 303 Pittsburgh St. Scottdale where Prayers of Transfer will be said on Saturday at 10:30 am followed by her Funeral Mass at 11 am in the Partner Parish of St. John the Baptist RC Church, Scottdale with her pastor, Rev. Andrew M. Kawecki as celebrant. Interment will follow in St. John the Baptist Cemetery. The St. Joseph Society will recite the rosary at 1:45 pm and a parish wake service will be held on Friday at 7:45 pm both in the funeral home. Memorials may be made to the Partner Parish of St. John the Baptist & St. Joseph or to St. John’s Pre-School c/o 416 S. Broadway, Scottdale, PA. 15683. For online condolences and information, please visit www.gjfuneral.com.